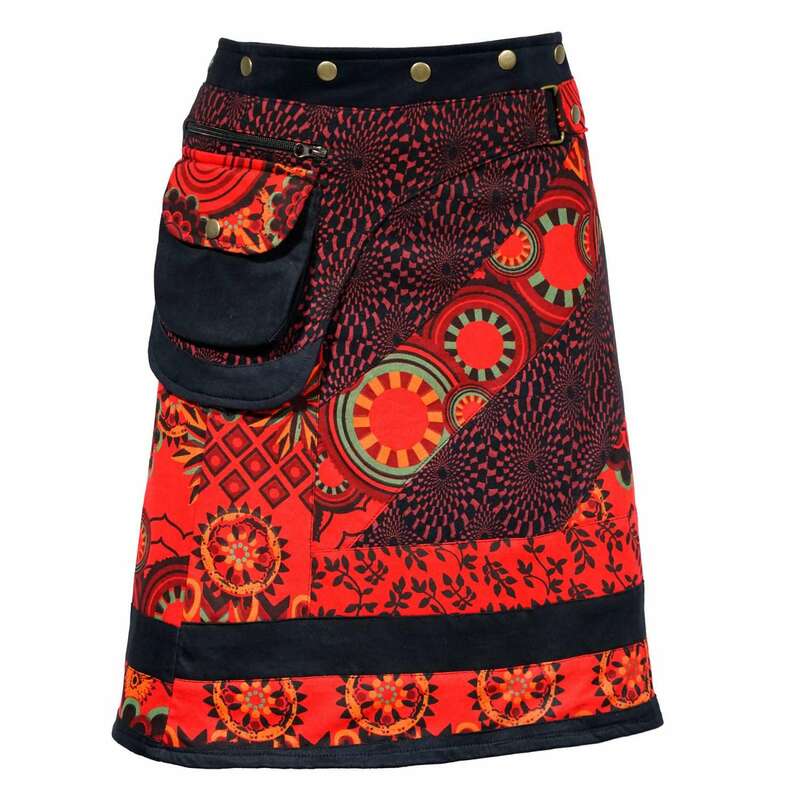 Be bold and look fierce in this carefree lightweight summer skirt decorated with vibrant mandala prints. Its hidden pockets will keep you cool and comfortable wherever you go, adding functionality to your everyday life. When you want to step away from the crowd, this stunning skirt will be your ultimate companion. This knee-length skirt is easy to combine with an even color or with one of our tops. It is designed with an elastic waistband that will keep you comfortable all day. Because of its great fit we have chosen to combine the sizes. You can choose between: S/M, L/XL, XXL and 3XL. Cool, simple, and wonderful to wear! 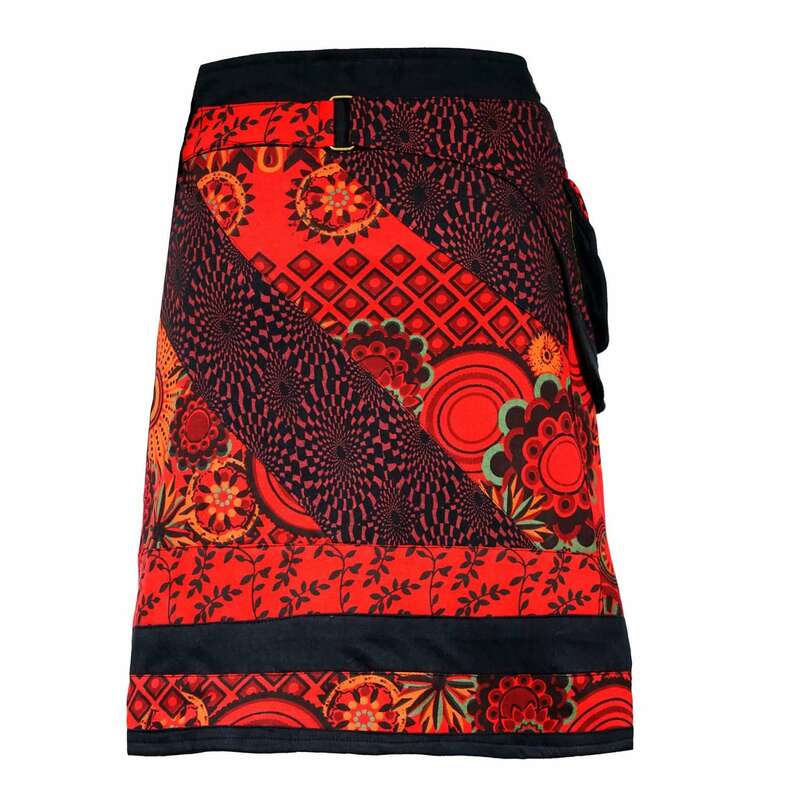 Give your casual look an impression that will last with this colourful printed wrap skirt. This skirt will give you instant style points and is hard to resist. Not only does this skirt look the part, it’s also extremely practical. They are one size fits all! 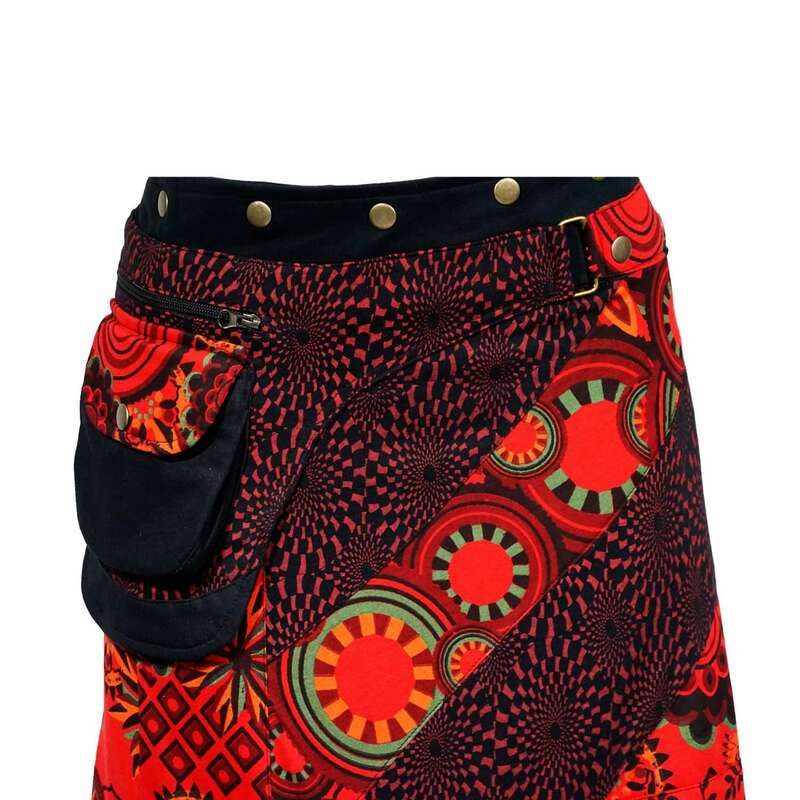 These beautiful adjustable skirts are wrap round and can be worn by anyone who is between size 34 and 46* thanks to a double line of snap fasteners. It doesn´t get any better than that right? This knee-length skirt is easy to combine with an even colour or with one of our tops. This bright, floral and fun statement skirt is calling your name! Not only does this lightweight skirt look the part, it’s also extremely practical. Its hidden pockets will keep you cool and comfortable wherever you go, adding functionality to your everyday life. Inject some fun into your day with this reliably flattering, go-to piece. 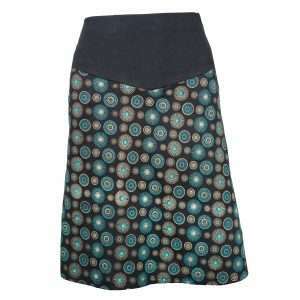 This knee-length skirt is easy to combine with an even color or with one of our tops. 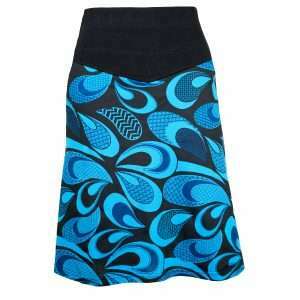 It is designed with an elastic waistband that will keep you comfortable all day long. Because of its great fit we have chosen to combine the sizes. You can choose between: S/M, L/XL, XXL and 3XL. You’re definitely doing yourself more good than harm by adding colourful skirts to your summer wardrobe. This stunning skirt in unique patchwork design enlivens your summer repertoire with a vibrant colour palette. Who needs to try hard when simple styling looks this good?